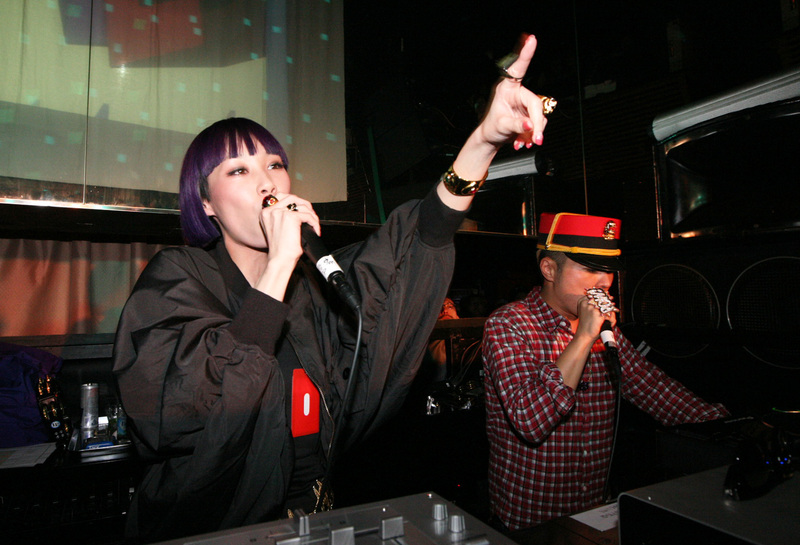 Sometimes, even ‘mixing’ DJs may want or even need to get on the microphone. DJs don’t use microphones, right? That went out in the 70s, yeah? Well, if you’re a mobile or wedding DJ, or a personality jock in a mainstream weekend bar, you of course know different. But for this article, I’m talking to “mixing” DJs, producer / artist DJ types who day-to-day would never dream of “getting on the mic”. A pitfall is that as soon as someone sees you with a microphone, you inevitably get the requests for “birthday shout outs” and so on. Just like requests for music, you need to have a strategy for dealing with this. Me? I hide the microphone to start with unless I need it, and then just tell people it’s for official use only, and we’re not allowed to use it otherwise. With a smile, of course. Do you regularly use a microphone? Have you been asked to do so and felt uncomfortable about it? Is this something you’ve conquered, and are glad you did? Please share your thoughts in the comments. 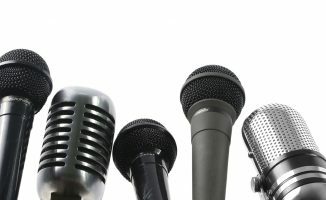 Your Questions: How And When Should I Use A Microphone? I am a regga/dancehall dj/selector. I am constantly on the mic giving shout outs big ups or intruducong the next tune. Keeping it hype and energy levels high. Otherwise known as toasting. This is very common in the dancehall/reggae world. and you said it before i got a chance. very big for dancehall/reggae djs, selectaz, and sounds crews. i dont think the dance would be lively with out someone on the mic hyping things up(reggae parties that is). it brings out creativity as well, shows that you can interact with your crowd without boring them. Hey! Interesting article I was just considering buying a mic actually. 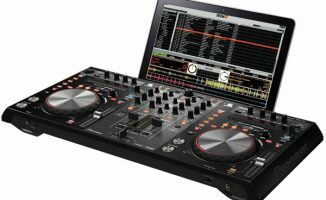 Can anyone recommend a good one for the VCI-300 MK2? It has a 1/4 jack not xlr. I would like to keep it very cheap under $50 USD. I was looking at the audio technica xtr-1300. We’ve actually never tested any mics on here. The mic I always seem to end up using is a Shure SM57/58, you can fit them with 1/4″ or XLR cables. They’re decades old so second hand should be easy to find within your budget. Agreed with Phil, not to mention they’re really cheap when new. In the US you can still get them for under $100. They are bulletproof, damn-near indestructable microphones. Shure also makes wireless SM58s as well, but they’re not cheap. 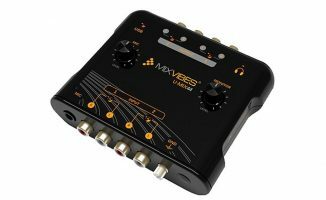 I also recommend the Audix OM5 mic…great mic for around $150 US. Ta for thread! Got our first DDS club night coming very soon so a mic may actually be handy after all. However though, it is true that for such cases, if I was directed to, Id also comply and use it. Shure’s beta 58 is a great Mic.. I MC all the time as a mobile/wedding DJ. It should be mentioned that if one really needs mic on the fly and forgot to pack his/her own, to go ahead and USE YOUR HEADPHONES! Yeah, it’s a nifty trick that people forget sometimes. I don’t usually have a need for the mic too, but when there are shout outs and what not, just unplug from cue and plug into the 1/4″ mic. Sure it looks uncouth speaking into your headphones, but it get’s your voice across just fine. A DJ that can’t/won’t use a mic is a DJ who isn’t covering all of his bases. Pick the thing up and use it, people love shouts and big ups, it makes you more accessible and ultimately more popular. I’m not suggesting talk radio here, just some vocal punctuation for the evenings entertainment. Why wouldn’t a DJ want to be a personality on a mic? Now a days, any fool can run up to guitar center buy some speakers and a mixer and bam, you’re a DJ! Anyone can hit a sync button and beat match now a days. What you can’t buy is a big personality on the mic! 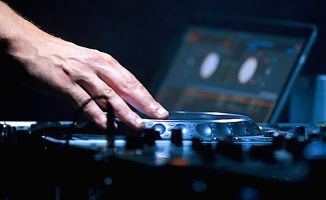 We hire DJs all the time, we don’t look for mixing skills (we can teach a monkey to mix) we look for a fun, dynamic personality that are not afraid of the mic. I use a VCI-300 MkII with a Shure 57, connected with a 1/4″ male to XLR female cord on the mic, works perfectly for me, and like Phil, I tend to keep it hidden, until I need it! … In fact I used last week at a birthday gig, where a talented Spanish singer showed up, and I politely asked (maybe pleaded) with him to sing a song over an instrumental for the birthday girl, … very memorable! I’m more of a mix DJ, like like my own voice and really don’t wanna come across as corny on the mic. I’m confident with happy birthdays, last orders, shout outs on requests but find if I have nothing specific to say I don’t say anything. Sometimes at weddings, which sometimes I do I thinking talking is the key, but I struggle to just say random comments. Really? Drink specials on the mic? You must work in some cheap venues – there’s nothing worse than having your dance interrupted by someone trying to sell you something, you’ve done the selling by getting people in your venue in the first place! Surely drinks specials get promoted on flyers, screens and the bar staff tend to plug cheaper options (in cheap venues), fancy places tend to up sell and avoid drinks promos like the plague. I spent 20 years of djing without using a mic and I was proud of that. Because using a mic was for the wedding-jocks. Than I started doing a regular radio-show ant it turned out that it’s big fun for me to work with a mic.